i can name you at least ten people who have mentioned that they want to clean out their family's closets as one of their new year's resolutions. i can name another ten who listed, "volunteer more or give back to the community." in fact, i'm one of them. well, let's kill two birds with one stone, shall we? 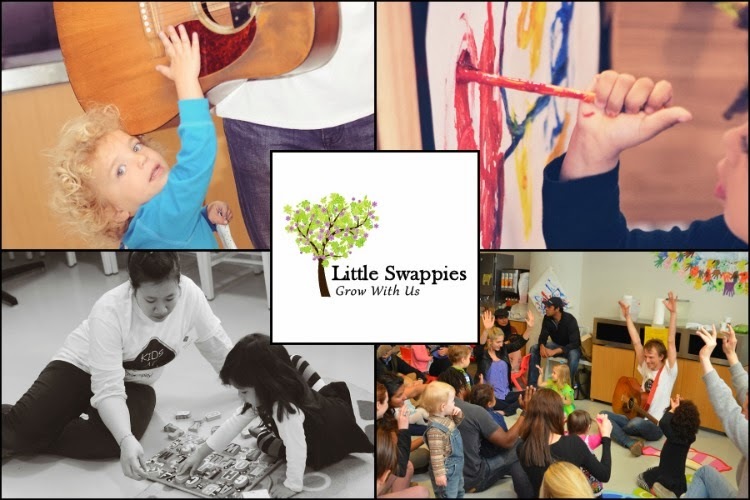 Little Swappies, introduced to me by my friend kaity and created by mother of two, lauren patterson, is an organization that allows families to swap like-new children's clothing, books, and toys, and gently-used maternity items. their goal is to help you extend the life of your children's precious items, receive new items that you or your family currently needs, to meet socially responsible, innovative, and family-oriented companies, and to aid in protecting our planet by reusing and reducing. all of those things i can stand behind. give some stuff, get some stuff, do a little good for the planet. who couldn't like that, right? however, Little Swappies doesn't stop there. they donate all of the goods left over from the swap to Covenant House's mother/child crisis center and nursery program. last year, covenant house of new york took in 550 homeless mothers under the age of twenty-one and 557 of their infants and toddlers. without these imperative donations, this organization wouldn't be able to provide medical, educational, and nutritional for these young mothers and babies and, as a result, these women and children would be without shelter and back living on the streets. as a mother, this is something that i am absolutely not okay with. so, how can you participate/help? 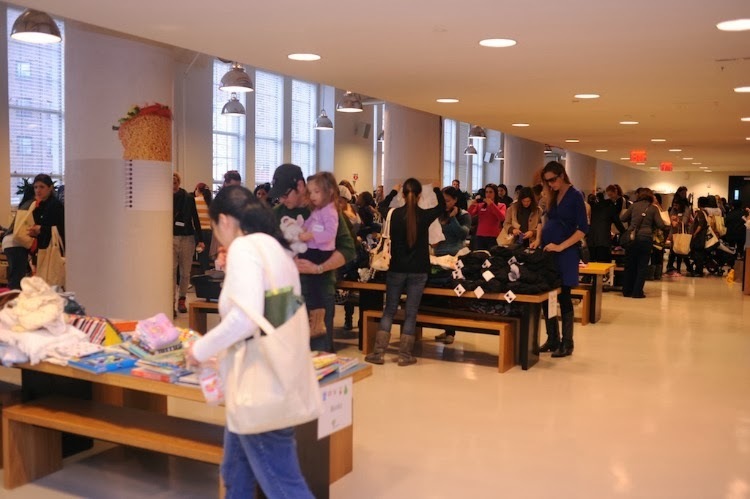 on january 26th, Little Swappies will be hosting their latest swap at Avenues: The World School. all you have to do is purchase a ticket for $20 and bring five or more gently used children's and/or maternity items to swap with other families. the entire family is encouraged to come as there will be free babysitting provided by Urbansitter; music, arts and crafts with Kids At Work; demos with Super Soccer Stars. free stroller cleaning will also be provided by CleanBeeBaby (i'll be getting in on that action), raffle prizes, and gift bags are also included in the ticket price. also, Little Swappies is partnering with high-end kid's clothing line, Frank & Lu! for the first time, a limited number of premier tickets will be available for purchase. the premier tickets not only gain you access to the swap, but will also include two vouchers redeemable for two new pieces from the Frank & Lu collection. all items not selected by a premier ticket holder will be available for purchase at more than fifty percent off. whatever isn't swapped will then be donated to covenant house. 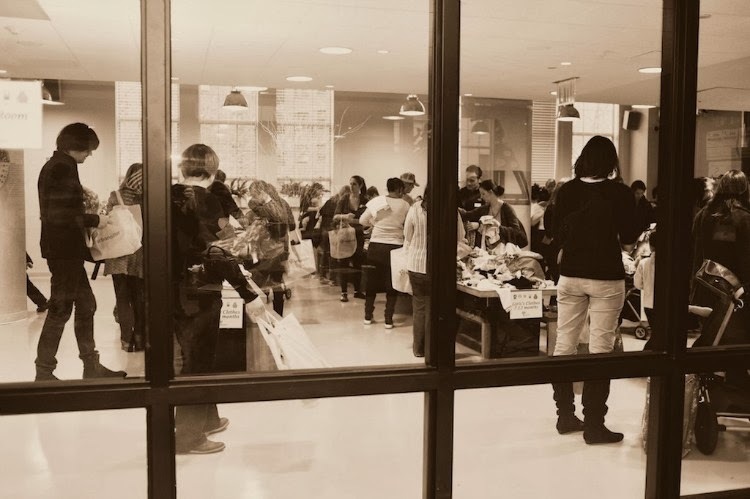 so, even if you don't want to swap, you can come, donate your goods, meet other mamas and families, and make a morning of it. it's a win-win. if you have any questions about the event, please feel free to email me or leave a comment. to any of my non-new york mamas, if you want to send any items to me, i'll be sure that they make it to the swap! and if you see me and my tribe there, please make sure to introduce yourself! this is awesome.. i just received two big totes filled with clothes for my baby from my neighbour and thought that this is something we should be doing more of. also to donate more of the loads and loads of clothes we have that we don't wear. absolutely on my list of things to do this year. this is a great cause!